Become a member and you will be able to attend all talks at a reduced rate of the non-member admission price. Go on visits at reduced rate of the non-member price although charges by a third party eg. National Trust will still be payable. 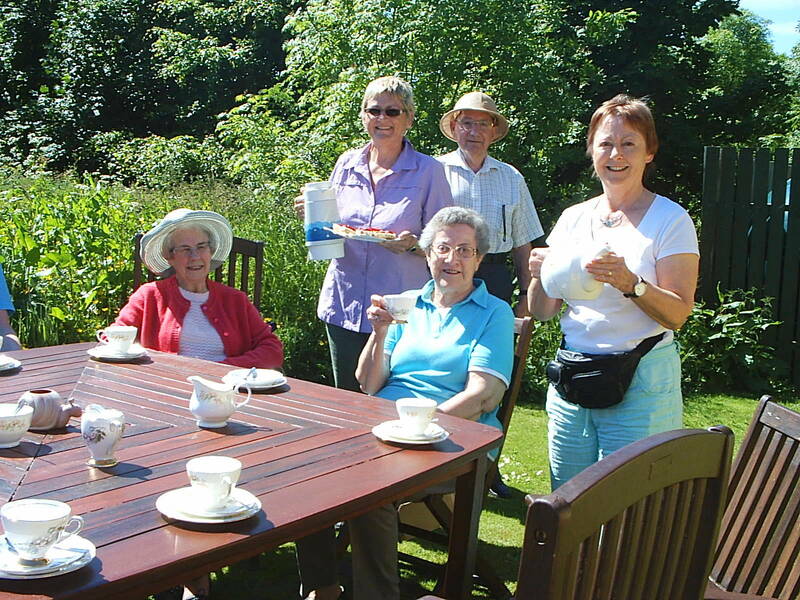 Join in the social life of the society by taking part in the annual garden party and Christmas dinner plus coffee mornings, race nights or Ceilidhs etc. The society plays an active part in the social calendar of Monifieth during Gala Week, Medieval Fair and the switching on of the Christmas light. On a more personal level you could volunteer to give 2 hours of your time to the House of Memories where you can meet and greet the visitors and explore the many treasures on display. The House of Memories is open 10 am – 12 noon and 2pm – 4pm each day Monday to Friday. An enjoyable way of learning more about your local history. And it costs……….only £15 a year. The membership year starts June 1st. If this sounds interesting to you, just contact us using the form below, and we’ll get right back in touch.